I’m super excited because today I’m hanging out with one of my besties, Morgan from construction2style, for the BizCom Summit! The BizCom Summit is a one day conference covering topics on marketing, social media and more. I’m super honored to be hitting the stage TWICE – once with Morgan to talk about how to create a successful influencer blog strategy and another time on a panel with a few brands and influencers sharing all things influencer marketing! 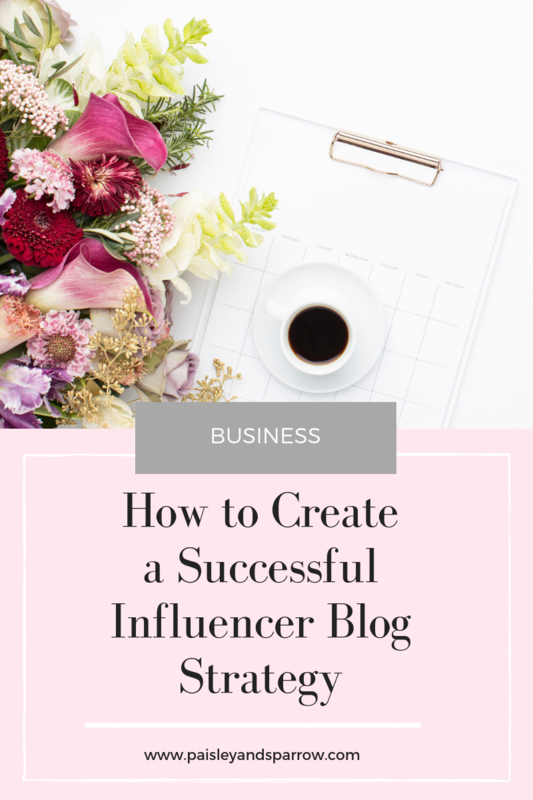 When planning out what we were going to share, Morgan and I realized there is far too much info that goes into a successful blog strategy to share in just 45 minutes so we wanted to share all the additional info on our blogs! Today you’ll find part 1 of 2 when it comes to your blog strategy. Content is KING (or QUEEN in our case). Head on over to Morgan’s blog to hear all of our content tips! We’re collaborators at heart and collaborating with friends, colleagues, peers, family and even competitors has changed and taken not only our business but personal relationships to another level. Not only does collaborating with people get you ahead but you learn something new about yourself and others throughout the process. That is invaluable. When you start to lift others up, which is what collaboration is all about, it’s crazy how fast your life, business, finances and relationships start cruising forward! I did a whole series interviewing women about collaborating and here are some quotes! Head on over to Morgan’s blog to hear all about why you need to know your numbers! When it comes to brand partnerships, pitching yourself is a super important part of it. Here’s why. Say you’re at a party with 150,000 people in attendance at a giant event space and the owner of your absolute favorite brand is also there. There’s no way of them knowing you even exist unless you put yourself out there and introduce yourself! So you muster up the courage to say hi. You do the work to find out where they are at the party. You know they have people doing everything they can to talk to them so when you get your 60 seconds of face-time, you wow them with exact reasons about why you love their company and an idea of how you guys partner together to show off their brand. And you leave a lasting impression and they call you to negotiate a deal. Same goes for pitching to brands in real life. It’s a lot of work but done correctly it can lead to enviable partnerships and some money in your account! Start by finding the email to someone who works in PR, social media, marketing or communications at the company you want to pitch. When you find it, send a clear and concise email to them with a story about how you fell in love with their brand or something specific to show them that this isn’t a generic email you send out to 100’s of brands. Add in an idea or two about how you could partner together. Include links to your blog and highest performing social media channel. Remember, they’re likely getting many of these same emails daily so keeping it short yet very specific to make a lasting impression is key. This won’t always turn into paid partnerships but getting a foot in the door is step one. I pitched one of my absolute favorite beauty brands and their reply was simply that they didn’t have any current campaigns but they’ll put me on their list for possible future ones and asked me to send them my address. The next day a giant box full of product (that would have cost me around $1,000) showed up on my door. I’m using this as opportunity to showcase my work and send them links to posts that include their product to stay on their radar. And if you’re scared to push send, just ask yourself this – what’s the worst that could happen? I took an entire course on this, Pitch It Perfect by Julie Solomon, and it was a game changer. I’m a huge proponent for investing in yourself and this course was incredibly helpful for me! I had the entire cost of the course paid off within just a couple months of completing it by using the tactics I learned. Pitching is a lot of work but with the right tools it can be a game changer for your brand! This link brings you to the free masterclass that Julie created for this course. It helps you get an idea of her teaching style and what she teaches. There’s definitely some good takeaways in the free class so even if you don’t sign up for the course, the masterclass is a great next step to learn more about pitching! Be sure to come back tomorrow for all things social media and all of our tips behind leveraging your blog through your social channels! Thanks, as always for reading and sharing!